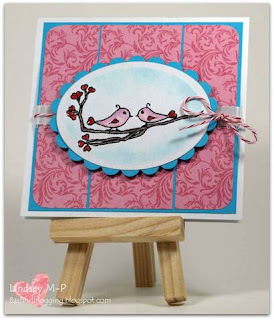 Such a pretty creation Tracey shared last week. 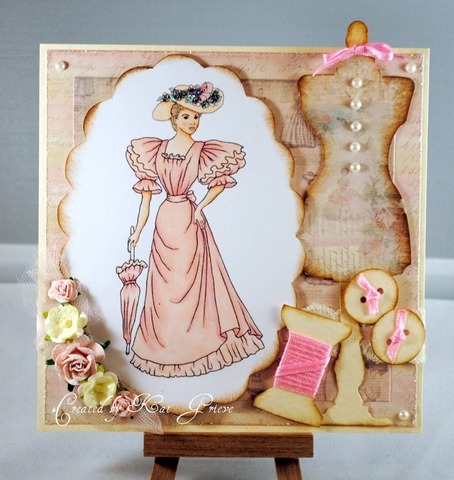 Love the pink all over, the hippo ballerina and beautiful embellishments. Please email me peggy and I will let you know how to claim your prize. 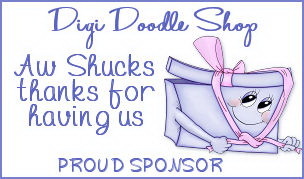 and our Sponsor Digi doodle shop has shared the most awesome fashion images with us, so the Design team sure showed us their "inner fashionista". How about yours? Deena added colour all around her uncoloured image. 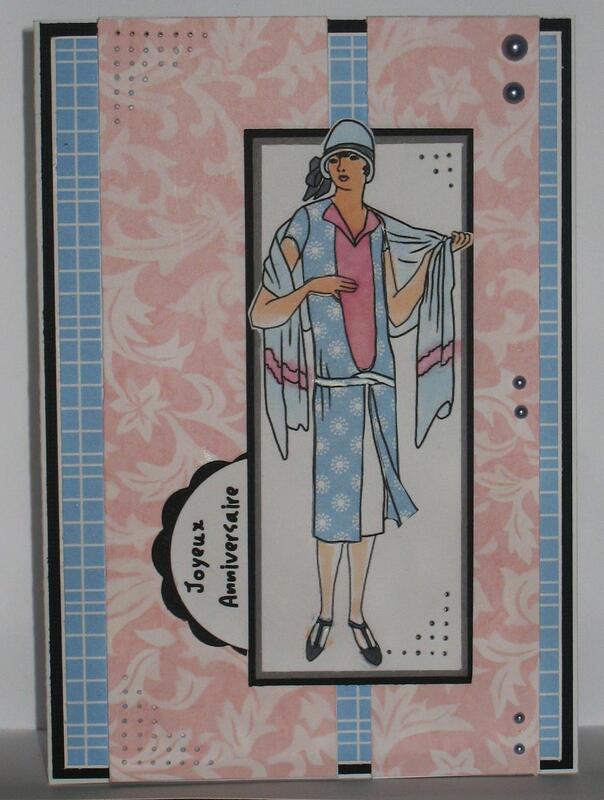 Amazing how design papers makes this image come out so beautifuly. Love the buttons too. Lindsey kept it monochromatic and vintagy. 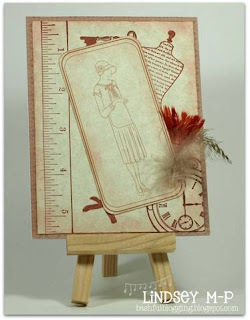 Love the feathers and triple panel for the image. Miss Lindsey style! 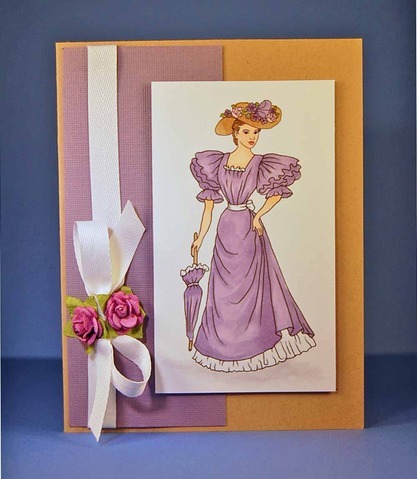 Kathleen used the 1800's fashion image and made this a vintage and feminine look. 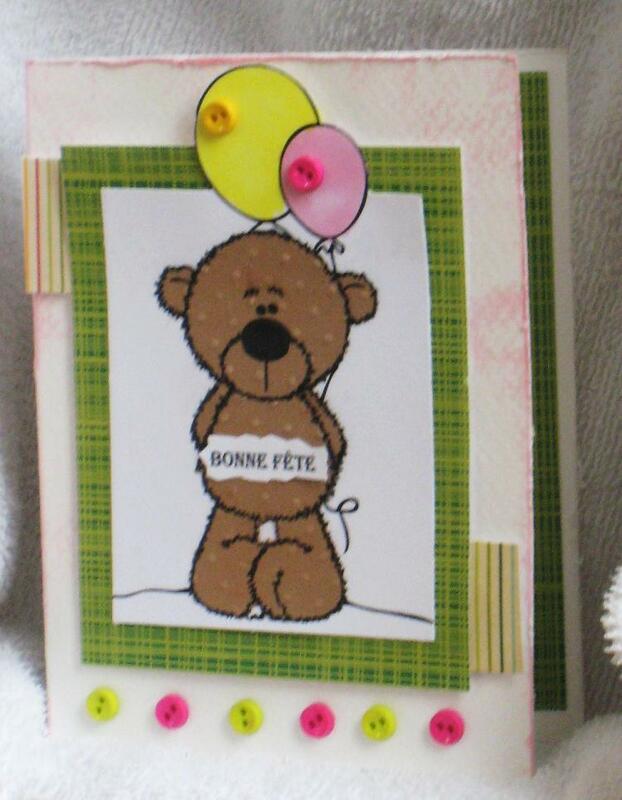 Beautiful embellishments with the buttons, spool and cute ribbbons. Gotta love the roses too. 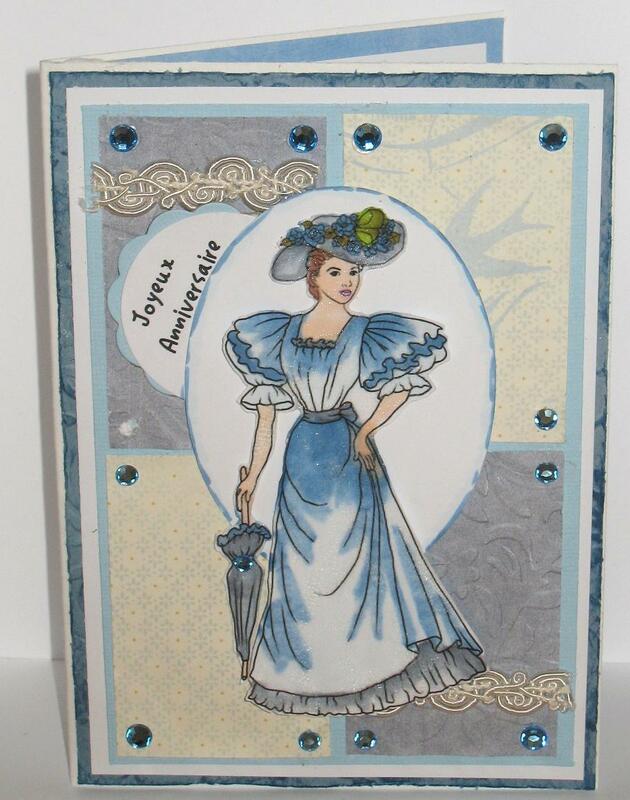 juelmarie has created a beautiful sponged version. 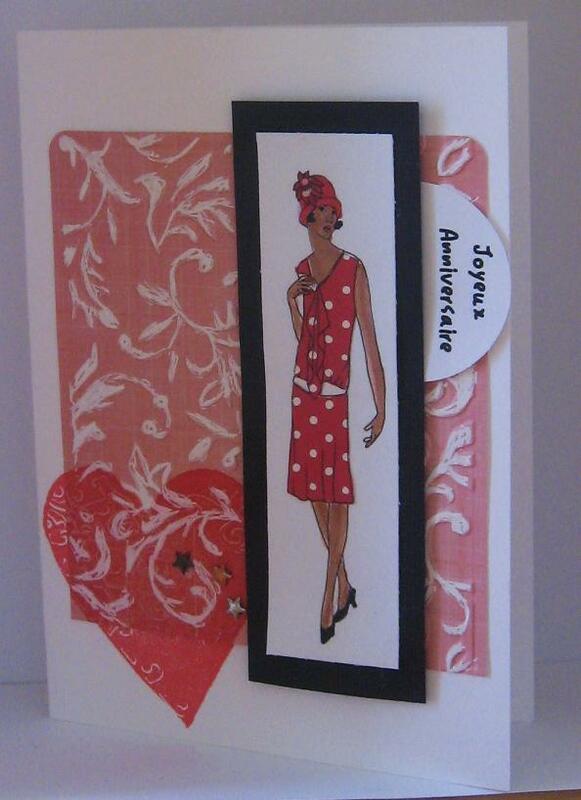 This is elegant vintage at it's best. Jaime used three beautiful images on her project. Love the faded grey and vintage look. Special creation here. Please add your keyword CCCW159 if you upload to SCS. Pauline, please contact PEGGY for your prize! Now for our next challenge! We are getting fancy with our folds this week! Now is the time to pull out one of those new techniques that you've been wanting to try! There are all kinds of fancy folds- Z fold- Tri Fold- Easel Cards, side step cards, or gate fold cards! 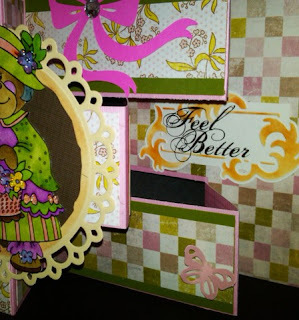 Or try any flower fold technique to add to your creations! I'm sure you'll come up with lots of your own ideas that will surprise and impress us too!! Thank you to ROBYN'S FETISH as our SPONSOR this week. They generously gave the team these wonderful images to play with in our samples and is offering a wonderful prize to our winner! 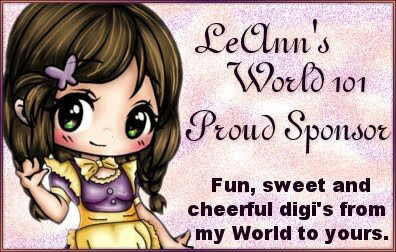 Robyn's Fetish Digital Stamps And More, a division of I Did It Creations, was created and is owned by Robyn Weinrib. 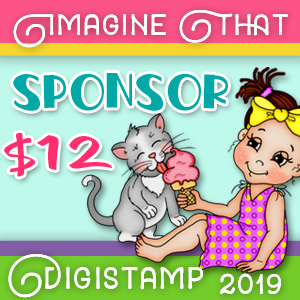 Robyn offers a wonderful variety of digital stamps and digital papers,                                                                                                  designed to meet the needs of all digital paper crafting addicts for every occasion. Have fun... and here's some fancy folds from the team! 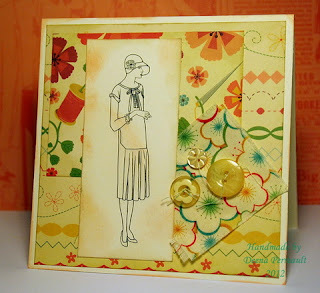 What a splash of spring folds Juelmarie created for us. Says warmth from top to bottom, just what a get well card needs. I just couldn't resist this sweet mug of cocoa and made a petite 4 1/4 " square easel style card. Love the fun scene Claire created with this polkadotted background and added sparkles and pearls. Cool fold too! 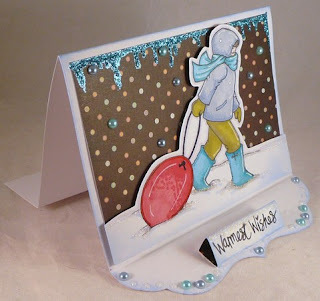 Rudlis did this unique triangle twist on an easel card! So fun! These mittens are signigicant of the warmth a friendship is to the heart. Good job on the gatefold. 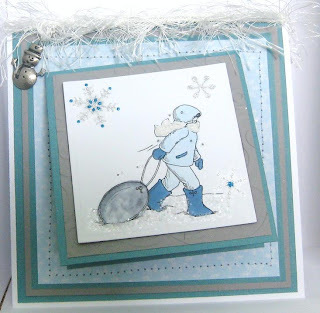 Peggy created a lovely wintry scene with this cute image and fun double fold card! Jaime joined in her off week with this terrific pirate theme! 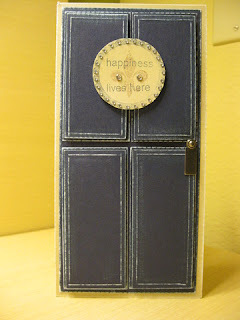 The flap fold opens to reveal the treasures inside! Link your entries below and use CCCW158 as your keyword when uploading to online galleries! Thanks for joining us! So Elaine, please contact Claire to find out how to get your prize. 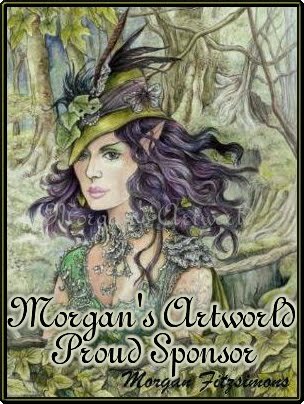 on your card or project. 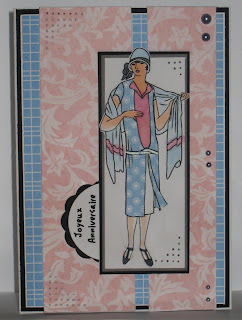 I am so happy to add our Sponsor' Stampfairy's addition to our gallery this week. They were so generous to share their beautiful projects with us. Thank you so much! 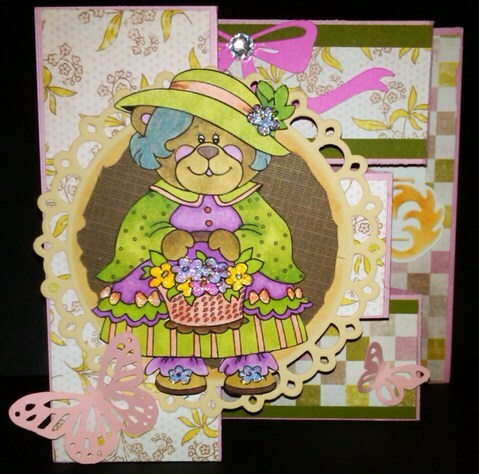 Jackie used Patches the Bear in a set of embossed frames and little button embellishment. They recall the pattern of patches on the image. Beautifuly done! 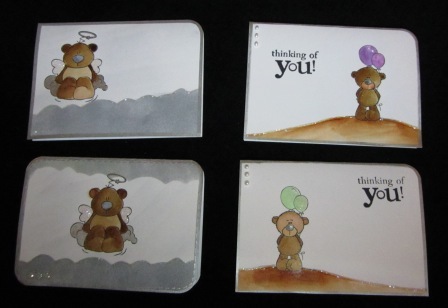 Martina has used this cute image called Toby everyday Angel in a most cuddly setting. Clouds of white and sky of blue. What a fine way of coloring him too. Donelda colored our little Barry Balloons with such fine shading. The CAS look sets off our birthday boy so well. 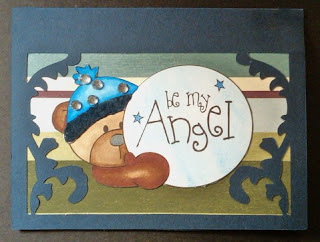 Kathleen has created a wonderful card with Toby everyday angel and lots of details. The flowers and lace and beads and pearls. 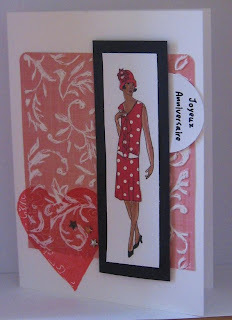 What a really love filled card for a special valentine. Love that sentiment in the cloud too. 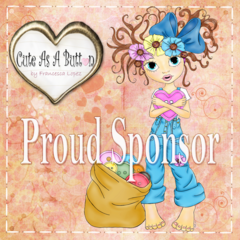 Juelmarie played with this cute image from our sponsor. What a darling hat and little pearls on it too. ...and here are mine. 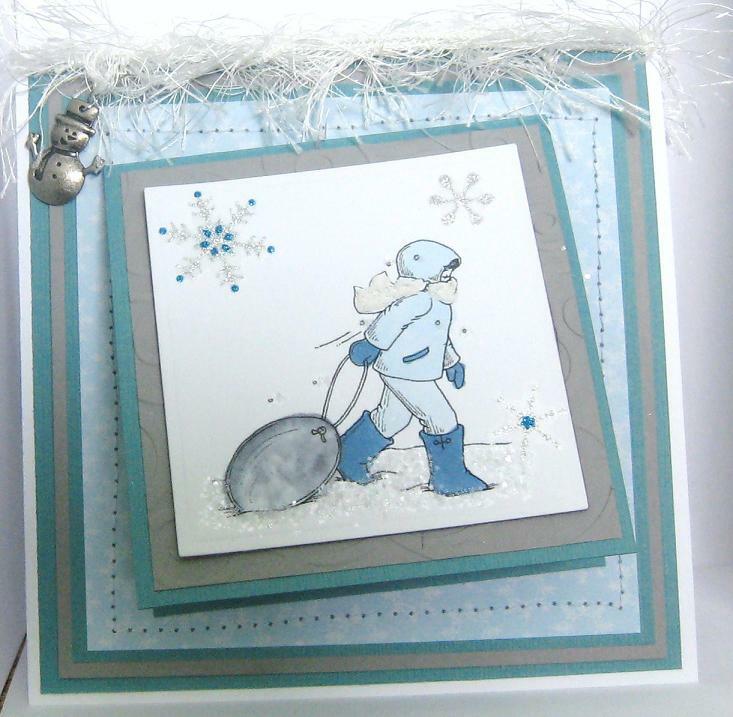 My first card is made with Barry angel. 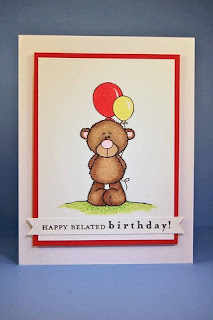 The second card's image is called Barry Balloons and he is saying Happy Birthday on his belly. I love his little face, couldn't you just cuddle him. 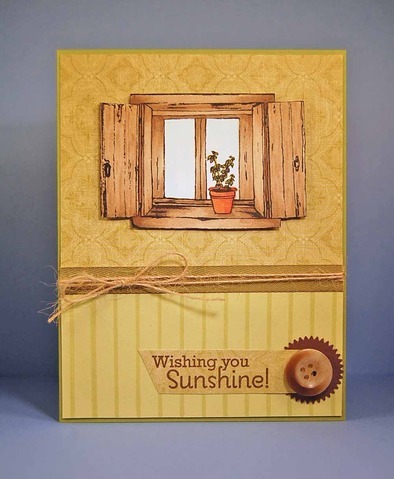 When you upload to Splitcoaststampers please use the keywords CCCW157. 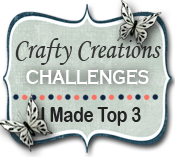 Thanks for playing with us and be sure to check out this week's super fun challenge below!! Here's our lucky random pick winner from our Home Sweet Home challenge! #10 WENDY with this sweet card! Congratulations Wendy!! Contact Deena for your prize! Hello! We are going to have lots of fun with the challenge this week!! Let's make heads spin with wonder! Let's get dizzy with our digis! Let's have a SWIRLY WHIRLY CHALLENGE! 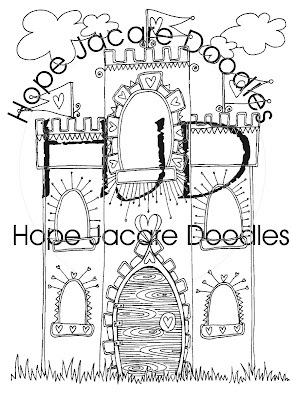 We have our very own talented teammate Claire, sponsoring this week's challenge with her fabulous and fun line of digis! 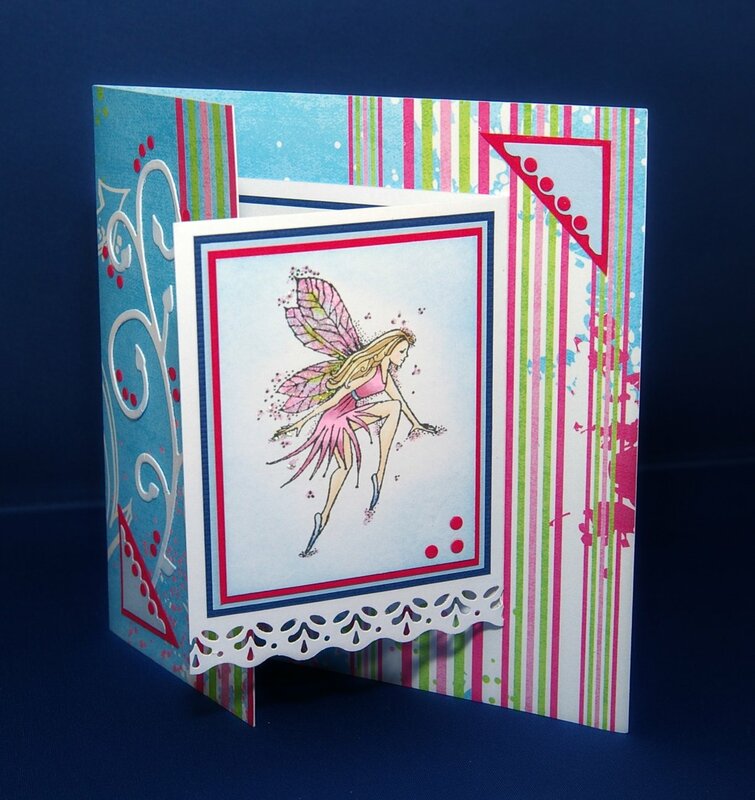 Our team got creative with their cards this week and I'm sure you'll be inspired! Lots of swirls and whirls here!! Have fun!! Claire added a lovely sentiment that swirls around her beautifully colored image! Look at the tiny flowers she added too!! So pretty! 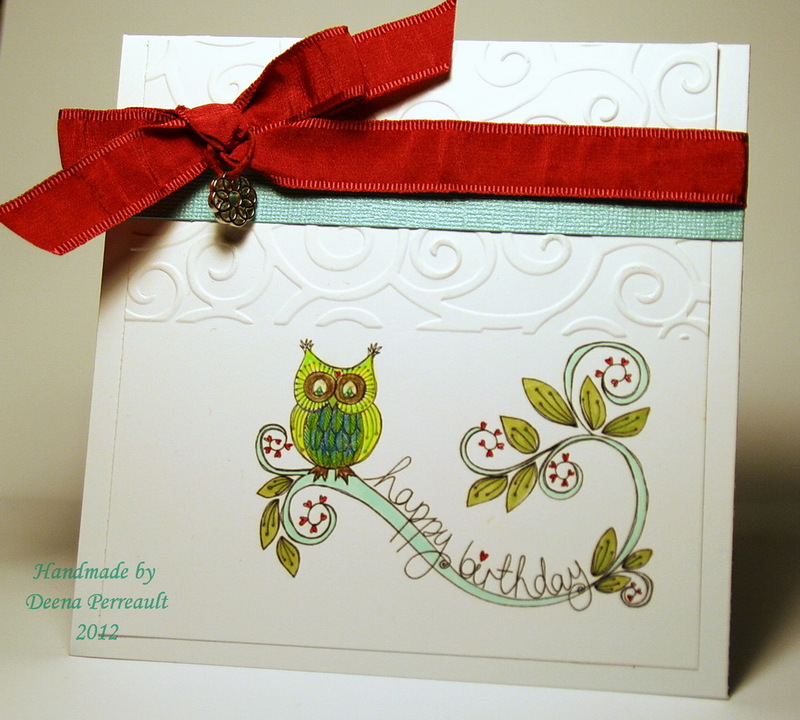 I, Deena was inspired by the CardPatterns sketch 151 and used some bright cheerful colors against a CAS white background, and D'vine Swirls embossing for this fun birthday card! Bernie's card has a classic, elegant look today! 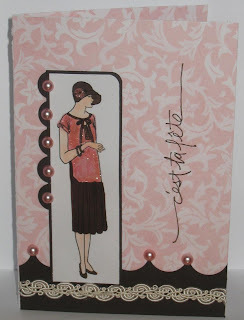 Note her gorgeous details like the swirling pattern of pearls! Juelmarie used deep jewel toned colors that are so beautiful! 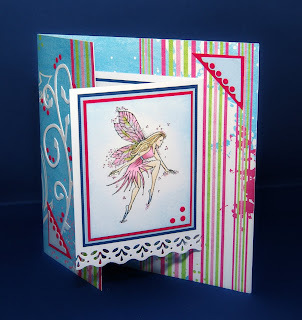 I love how her border has butterflies swirling across her card! Rudlis kept everything soft and pretty! Don't you love how she framed Claire's sweet image!? 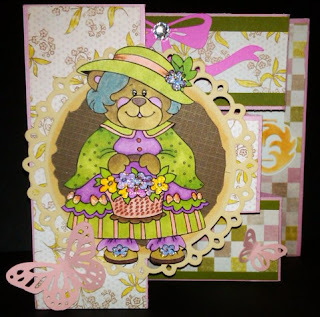 Peggy joined us on her off week with this sweet and colorful creation! 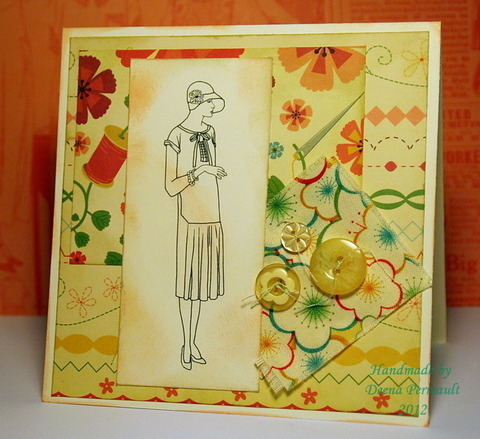 I love how she balanced the swirls with stripes in the background! 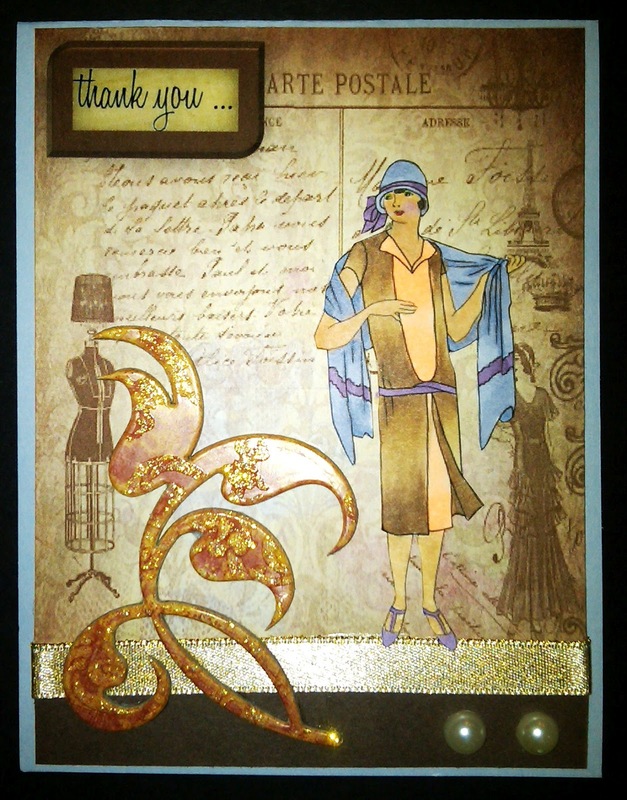 Donelda also joined in on her off week with a beautiful CAS (clean and simple) card! Her coloring is gorgeous! Have fun swirlin' whirlin' and twirlin'!! We can't wait to see what you come up with for this one! Leave us a direct link to your creation, and CCCW156 is the keyword if you upload to online galleries. 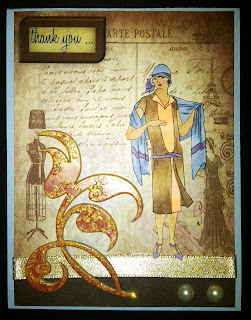 Peggy here, first I want to thank all the beautiful entries we had last week ... This week's winner is CARLY and she has created such a cute heart box for kids. 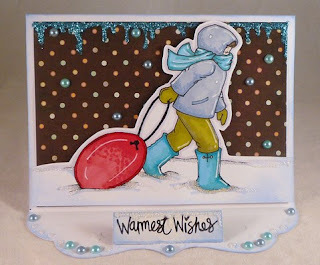 Check out her blog,to have a look at all the pics, it's so pretty. I was amazed at the talent of this young cardmaker, she is only 13 and draws her own sketches and digi images. Congratulations Carly, please contact Deena to claim your prize. Make a card of any kind of project that will show us what it means to you. 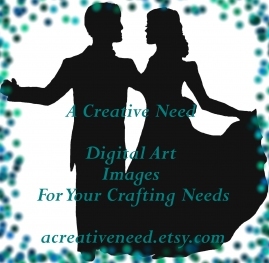 This week's sponsor is our own Deena's images from A creative need. Donelda's card is really welcoming. 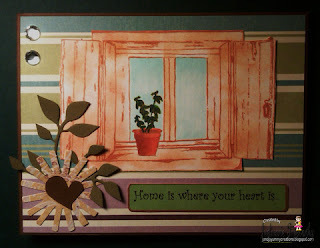 The design papers she used makes you feel right at home in some cute lost cottage in the woods,doesn't it. Juelmarie has used Deena's cottage window that just bounces off her card. 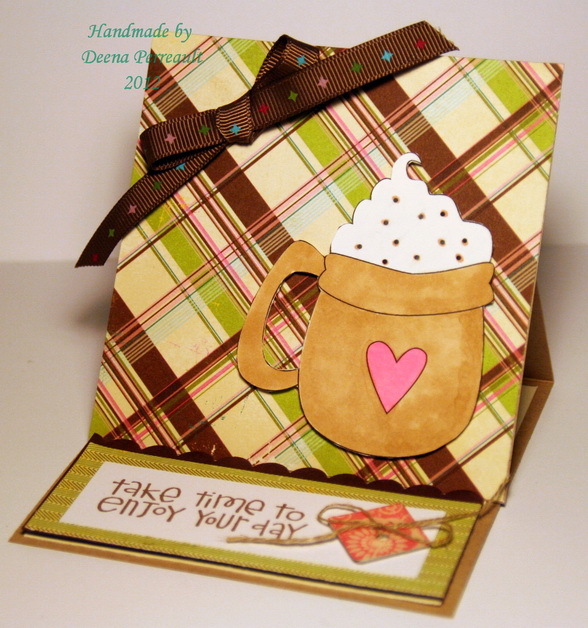 Love how the woodgrain comes out on your card. Thank you for playing on your week off. Lindsey has again amazed us with this pretty feminine paper pattern and Deena's new cute love birds. Love the sponging girl! 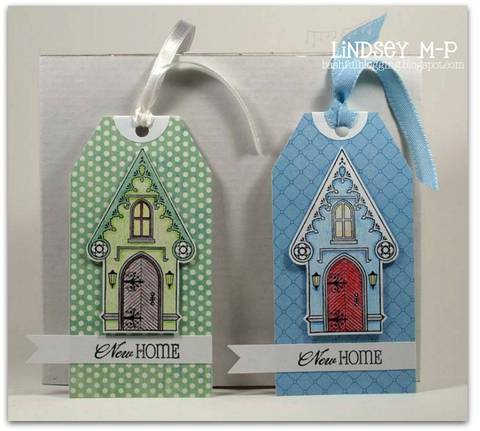 What a fun gift tag to attach on a homewarming gift! Lindsey has thought of everything for the new home owner. and here is mine. 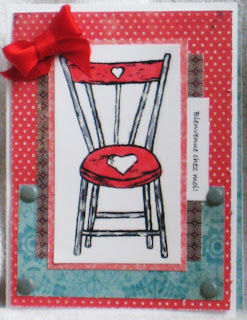 (Peggy) I just love this pretty wooden chair Deena drew. I tried to give it a weathered paint look with a grey copic and signo white gel pen. 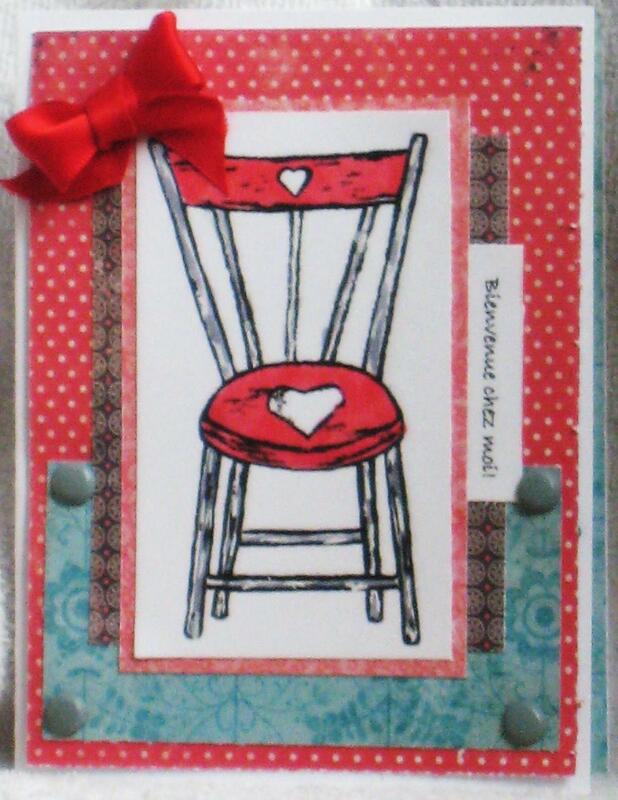 Bernie has used the same cool heart chair from Deena's new images. 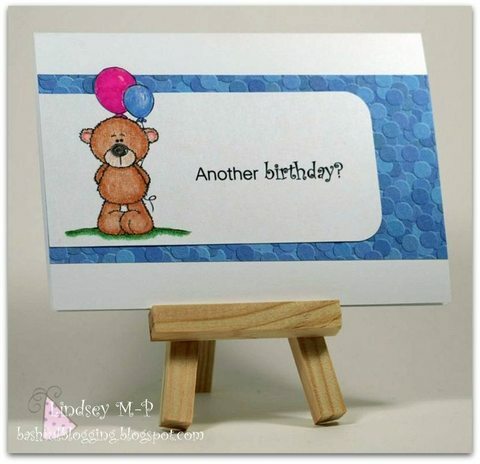 Love that she printed it on kraft cardstock. Wonderful sewing and country feel. Thank you for playing on your week off, what a darling. around the doors and the contrast in colors.